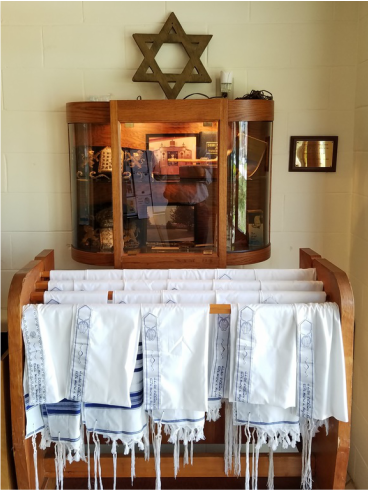 Wednesday evening, Rabbi Peggy de Prophetis marks the start of a new year and her first celebration of Rosh Hashana with Congregation Beth Sholom of Dover. The holiday is a joyous occasion but also a time when we seriously examine ourselves, she says. For the 100-plus members of the Conservative synagogue, much of Thursday will be spent in worship, as they are asked to think about their actions during the past year. This introspection that will be taking place all over the Jewish world is a ritual de Prophetis loves about her faith. She says it's a key aspect of the Days of Awe leading to Yom Kippur in which we repent, ask for forgiveness and resolve to act in a better way in the future. What I especially like is that we do this within community, acknowledging it as a value we share, though we still have our privacy, she says. It can be a powerful experience, though people aren't singled out. It's not a Jewish value to embarrass people. Professionally, this is an important time for de Prophetis. In her early 60s, she was ordained 18 months ago and became part-time rabbi of Beth Sholom almost a year ago, stepping into her third career. I love what I do, says de Prophetis, who is aware that she is embarking on this path at a time when many of her contemporaries are retiring. De Prophetis grew up in Brooklyn with a devotion to language, which she further developed at Vassar College and later the University of Pennsylvania, where she earned a doctorate in medieval literature. She also fell in love with teaching. But it was hard to find jobs she wanted in medieval literature. So she looked for something practical to do while raising her children, Emily Rose and Edward Isaac. She decided to retrain in accounting. Over time, she felt she mastered the subject -- enough to teach it at the Wharton School of Business and during the summer in Thailand. I made a market decision instead of a love decision when I pursued this path, she says of the teaching she continues to do. As for the Torah, it's a latter-day love, coming from a push from Rabbi Stephen Grundfast of Congregation Ohev Shalom in Wallingford, Pa. Seven years ago, she was sitting in the synagogue library looking for books on Jewish ritual objects, intending to make a tallit, or prayer shawl. Grundfast marched into the library with a group of 12-year-olds in a Torah class. He saw de Prophetis listening in and invited her to join the class. She's not sure why, but she did. And months later, Grundfast urged her to become a rabbi, though it was a suggestion that caught her off guard. When she was growing up, this was not something women were allowed to do, and she was middle-aged. But on reflection the idea made sense. She could immerse herself in a subject that resonated with meaning -- and it would be in the service of God and the Jewish people. In less than a year, she's helped grow Beth Sholom, says Herb Konowitz, synagogue president. He describes her as warm, creative and energetic. Before we were on a downward trend, he says. She's been a breath of fresh air, and new families have been joining. She tells stories to the children with puppets, makes home visits, leads Friday services and teaches adults interested in a stronger Jewish grounding. She manages all of this one weekend a month. I believe this is something I will never outgrow, she says. Contact Gary Soulsman at gsoulsman@delawareonline.com. Rosh Hashana, in Hebrew, it means first of the year and is known as the Jewish New Year. It's one of the holiest days, a time to begin introspection, looking back at the mistakes and planning changes to make. No work is permitted on Rosh Hashana. Much of the day is spent in synagogue, where the daily liturgy is expanded. Religious services for the holiday focus on the concept of God's sovereignty. An important observance is the sounding of the shofar, a ram's horn, blown like a trumpet. No reason has been written in the scriptures, but one suggested by rabbis is that the sound is a call to repentance. A popular observance during this holiday is eating apples dipped in honey, a symbol of the wish for a sweet new year. Another practice is Tashlikh (casting off). People walk to flowing water, such as a river, on the afternoon of the first day and empty their pockets symbolically casting off sins.